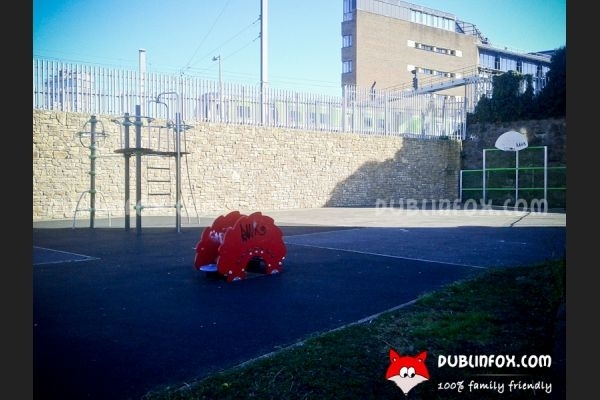 This miniature playground right next to the DART line is used mainly by the kids of the Macken villas. 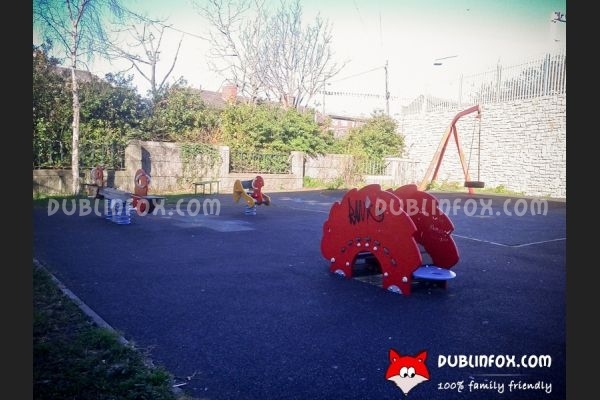 For toddlers, the playground offers a see-saw, a springer, a small and safe "hedgehog" to practice walking, while for older kids there is a single-point swing and a climbing structure. Unfortunately there are no swings or slides. At the back, there is a basketball ring, so teenagers might gather in the playground in the evenings to play basketball or other ball games.